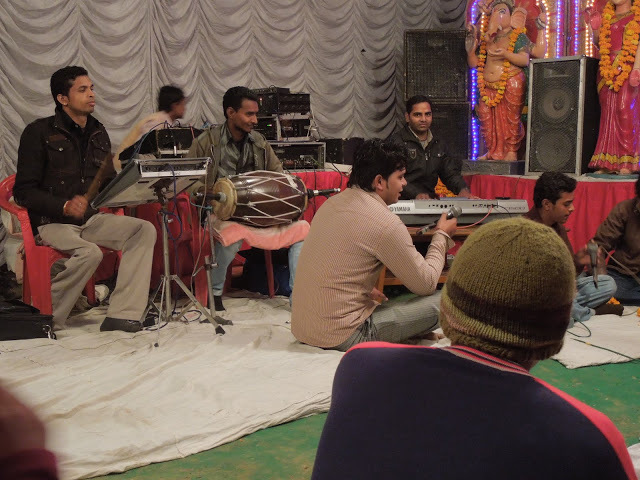 The band at the jagran: electric tablas, piano, and authentic mirdangam. Note the large speaker. | Where Is Annie? The band at the jagran: electric tablas, piano, and authentic mirdangam. Note the large speaker. My kids at their tablas lesson.